The JP Hoe Hoe Hoe Holiday Show Nearly Sold Out! Another year is coming to an end, and it wouldn’t be December if the JP Hoe Hoe Hoe Holiday Show wasn’t gearing up for another cold night in Winnipeg. A big band, with big ideas, and usually a couple big ol mistakes; all under the guise of glad tidings to all. A great soundtrack to guide the night and get the holidays started. There’s less than 100 tickets remaining. Join us! Winter is finally thawing and I'm happy to say we made it out. I've been quiet since our new baby Mara arrived January 5, but I'm bursting to get out and play some shows for y'all. WESTERN CANADA: First up, we head across Western Canada as a unique trio (JP + Cello + Guitars). All of the dates are on the tour page. Have a look, it's been a while since we've made that ferry crossing. WINNIPEG + QUINZY: We had such a blast last year, we booked and sold out our old pal the Park Theatre for two nights this May. Thanks to everyone for snapping up the tickets when they were available. Nostalgia 2.0! MIDDLE OF NOWHERE: Last January, I had a chance to write and record a record tucked into a cozy cabin in the middle of the woods with four other notable Canadian singer songwriters: Rusty Matyas, Keri Latimer, Alexa Dirks, and Grant Davidson. The result...after eight intense days we produced a stunning album of 9 songs. The album will be released on all platforms May 1. 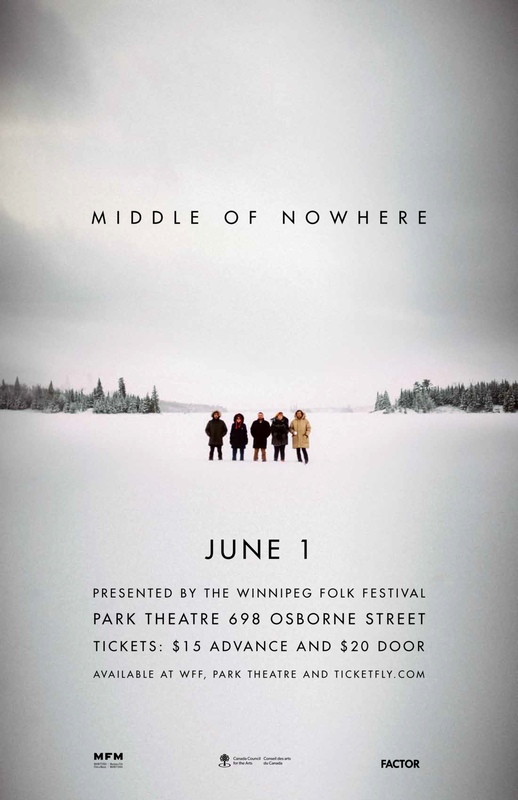 We'll be playing a one night only album release party in Winnipeg at the Park Theatre June 1. We'll play the entire record, as well as songs from every artist's catalogue. It's going to be an amazing evening.